You are here: Home » GENRE » Anime/manga » Attack on Titan season 3 second half: trailer. Attack on Titan season 3 second half: trailer. 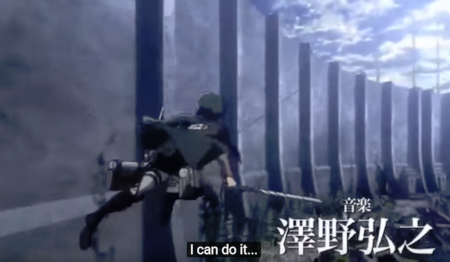 That Attack on Titan fantasy-SF anime sure is some weird s%$^, with the surviving remnants of humanity holed up in a fallen-tech city-state and besieged by massive mutant things called – rather appropriately – Titans. Well the second part of the 3rd season is now upon us and out via, what, Netflix, I think – or maybe Amazon Prime, the streaming thing all blurs into one after a while. This bad boy is based on the original Japanese manga series written/illustrated by the fabulous Hajime Isayama. « Astounding Space Thrills: Argosy Smith And The Codex Reckoning by Steve Conley (ebook review).